Chukka is a kinetically powered, tactile personal music player. It has been the result of research into the link of tactile interaction and repetitive physical motion with relaxation and mental stimulation. 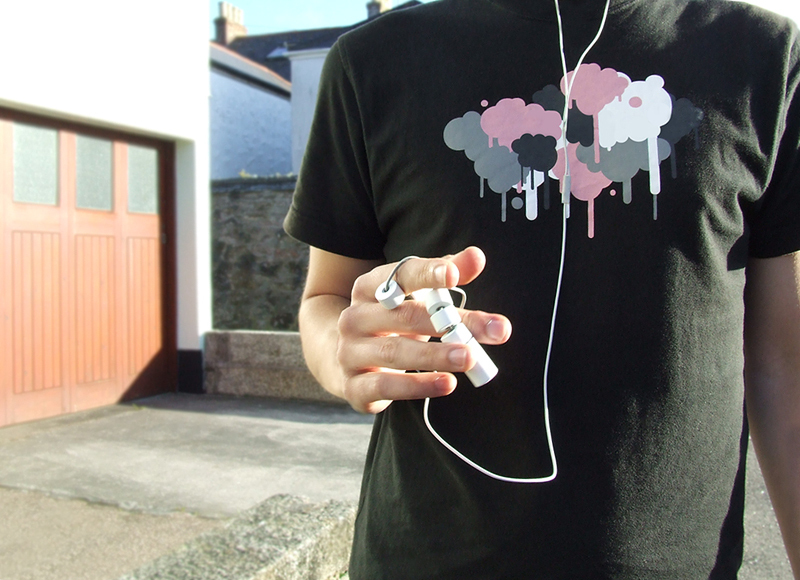 The inspiration behind the final product came from the Greek komboloi and begleri (worry beads), adopting both the subtle, and highly energetic techniques of use, through electromagnetic induction, for the powering of the device. The product's unique form intrigues its user to interact with it, both whilst listening to music and whilst not, in turn providing its power. Thermoplastic polyurethane creates the outer casing, a material that is energy efficient in production, effective to recycle and has many other advantages, as well as tactility. Stainless steel comprises the inner casing giving weight and durability. A highly flexible data cable links the two sections together giving the device its unique form and functionality. The device requires no adhesives and its design incorporates disassembly for repair, end of life, and in the encouragement of user customisation. Chukka is held in way that enables the use of the index finger and thumb for simple interactions, or complex techniques. When the device is held, any kind of movement is converted into electrical energy for charging the device. Even the slightest vibration will induce electricity. More energetic interactions for example swinging the device around and between the index finger and thumb, repetitively, gives a greater charge. 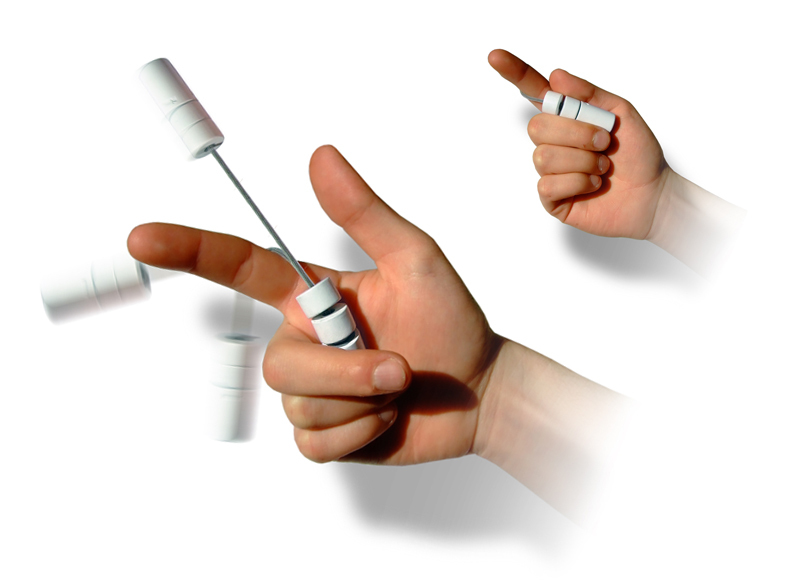 A large number of such techniques can be learnt, developed and combined, not only being beneficial to powering the device, but also in increasing hand dexterity and coordination. Allowing one bead at a time to slide along the cable, knocking into the next, imitates the interaction of traditional worry beads. Repeating physical motions frees the mind from distraction, providing relaxation and focus. Controlling the volume and selecting tracks is a motion based interaction, rather than simply pressing a button. 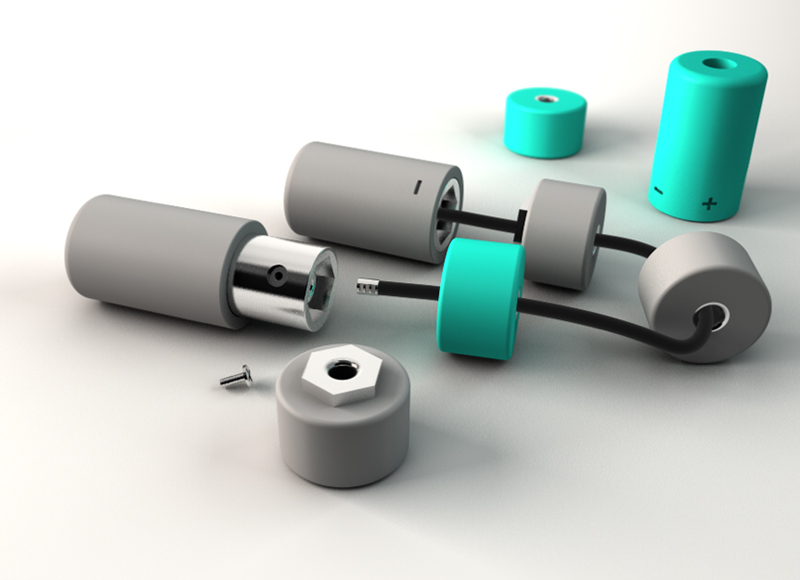 As the beads are turned, switching between tracks and altering volume, the resulting motion in turn provides additional charge for the device. The Chukka generates its own energy through the process of electromagnetic induction. This process has been used in products such as the shake to charge torch, among others, with gaining recognition and success. Recent innovations have brought Faraday's principle to a new level. The company Motion 2 Energy have been leading the way with their patented technology, boasting seven times the power generated through kinetic energy than has previously been possible. Using this modern technology, the Chukka can efficiently gain a charge even through its small scale. Though its simplicity, creating a low energy requirement, and its unique design to enable repetitive motion. Each Chukka consists of the two main sections: containing all components, two controlling beads: which slot into the corrisponding ends, and two additional beads. The entire device can be dissasembled by detaching the cable. This enables complete user customisation; from changing and mixing parts, to altering the amount of beads. 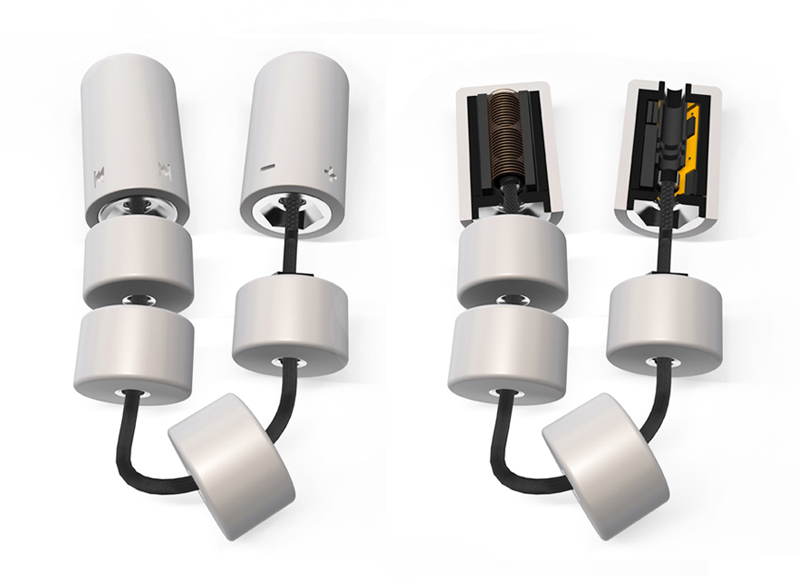 This detachable funtionality also enables ease of repair or replacement of separate sections, and the separation of materials at the end of the products life.